Personality Plus! 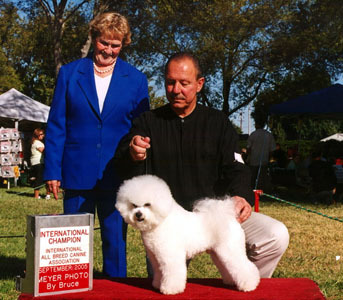 Ben exudes the bichon temperament. Always happy, friendly, and full of himself. In the show ring he also shined. Holding his head high and proud, as he should. Balance, size and movement, he has it all. When showing he knew that he was the "Feature Attraction".